Making dreams into reality every day. We love ending our year with a party for our members to get together and have a little fun, and this year's Celebrate was no exception! We got a little creative this year and decided that our members deserved to experience some pampering from some of our favorite Dallas venues. It was a surprise to our members and their guests when the party went mobile! One of our members said, "What a fun and well-planned event. Thank you for "celebrating" your members." We started with cocktail hour at the renowned bar at the Crescent Club. Our members got the chance to mingle and chat over signature drinks and yummy passed hors d'oeuvres from the Crescent's wonderful kitchen. 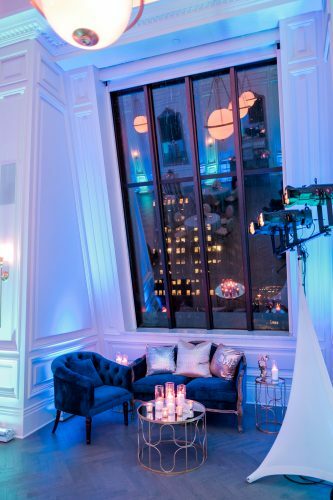 Soft piano music in the background set the mood in the intimate space. As cocktail hour neared its end, we unveiled our big surprise - we needed everyone to head downstairs to board a bus for our next destination! 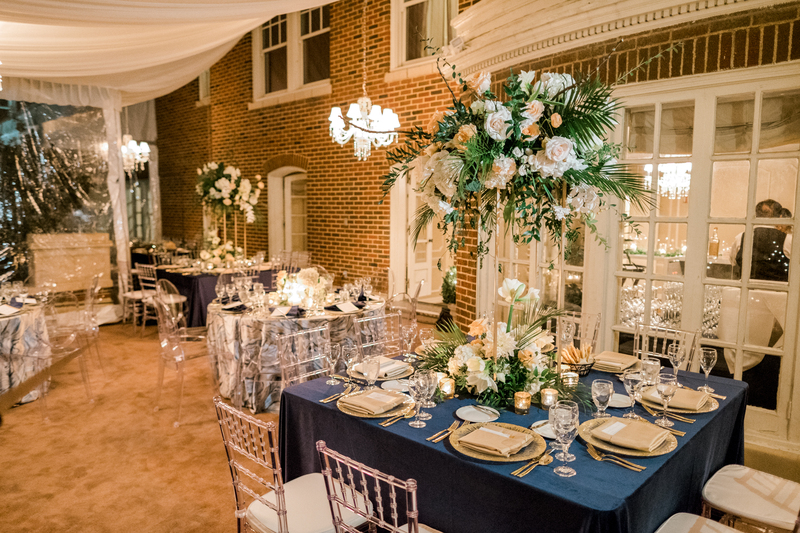 Members and guests were welcomed at the elegant and historic Warwick Melrose Hotel and headed up to the second floor for dinner on the covered patio. 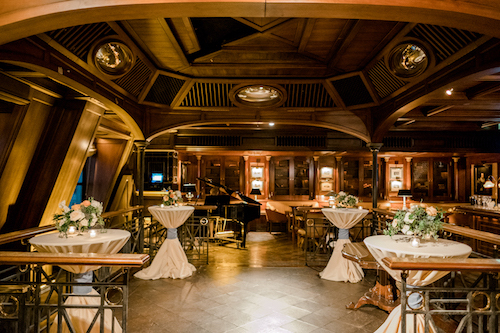 This space was once the building's penthouse, and offers a lovely receiving area as well as a wonderful view of Dallas! We devoured a sumptuous served dinner from the chef at The Landmark, the Warwick's signature restaurant, while enjoying a three piece band and checking out the gorgeous decor and floral. After dinner, we did a quick raffle and then off to our third destination! 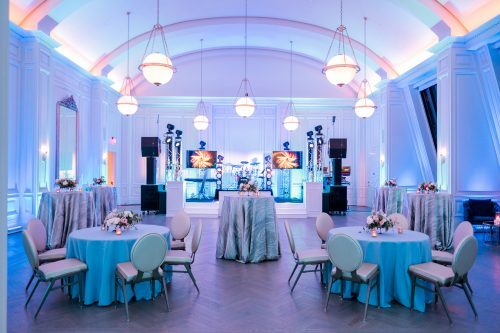 It was thrilling to see the newly remodeled 19th Floor Ballroom at the Adolphus Hotel all dressed up for dessert and dancing. 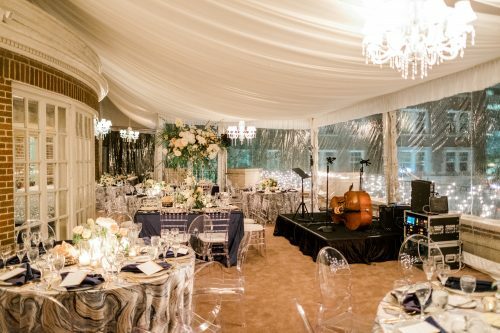 The 19th Floor Ballroom was THE place to see and be seen for decades in Dallas, and the Adolphus has done an amazing job of updating and renovating the space into a gorgeous oasis for special events. The Jam Wows set the scene as members and guests danced the night away and enjoyed special treats from the fab Adolphus kitchens, as well as some exciting extras brought in by Snowbaby and Tartalicious. We absolutely couldn't have done this without support from our amazing vendors! Here's everyone who contributed to Celebrate 2017! 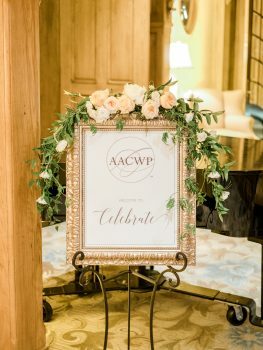 AACWP is a non-profit association primarily focusing on the education of wedding planners. 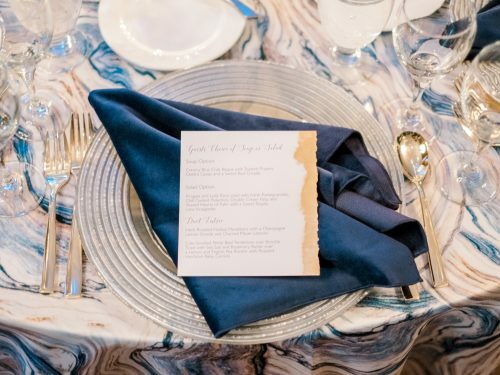 Our leadership consists of current members providing support, resources, and networking for wedding planners, as well as professional development, certification, and continuing education. Would you like to receive AACWP's blog updates right in your inbox? Click below to sign up for our email list, powered by Constant Contact.